We would like to thank all of our students for working so hard on state testing. We are so proud of their hard work. Students who were tested had their names placed in a drawing for a chance to win prizes each day of testing. 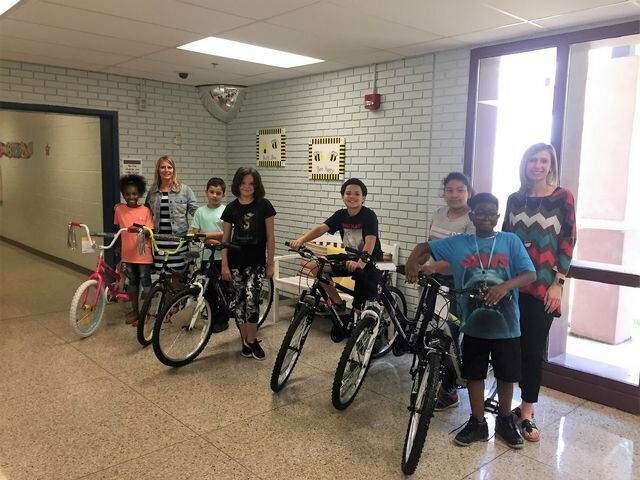 On Monday our grand prize bike winners were, Adrian Marquez, Kamaria Davenport, Cameron Shealy, Olivia Hatchell, Jacob Baldwin and Yurisa Rivas. Congratulations!